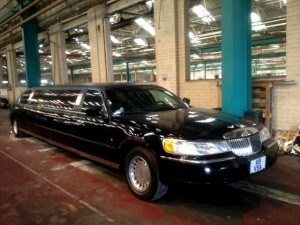 Did anyone spot our Lincoln Town Car on Hollyoaks? The limo really added some style to a scene on the Valentine’s Day episode. For those who missed it, Jim tried to blackmail Carmel to go out with him on Valentine’s Day. A magazine article that was printed about her tanning accident upset Carmel. But Jim won her over by buying every copy of the magazine within a five-mile radius! So she agreed to go out with him. But she was disappointed when it appears to be a date in The Dog. After her initial shock, he turned the tables and surprised her with an afternoon tea, dinner, a box at the opera and champagne on ice. “I even made the sign,” he says as they look at a chauffeur holding a Happy Valentine’s Day sign and red roses in front of the Limo-Scene limo for hire. However, now he realises how vain she is and he wants nothing more to do with her. You can catch up with all the latest Hollyoaks episodes on 4oD. There’s a good reason the Lincoln Town Car gets its fair share of TV fame. It’s the perfect choice for the independent traveller. A staple in the limousine world, the “Town Car” is a literal translation of the French term “ Sedan de Ville”. Both names refer to the classic style of limousine popular in the 1920s, which has an open chauffeur’s compartment in the front. The Town Car name first appeared in the Lincoln line in 1922 on a custom built Lincoln make for Henry Ford. According to Consumer Guide the car scores above average in the premium luxury segments for comfort, room, and materials. The Town Car is still considered one of the best chauffeured vehicles, receiving high marks for being among the most comfortable, quiet riding and roomiest luxury cars available. A black Lincoln Town Car Limo is ideal for any occasion for parties up to eight passengers. Our Lincoln includes stargazers and neon lights which change colours, a CD music system and plush luxury seating. 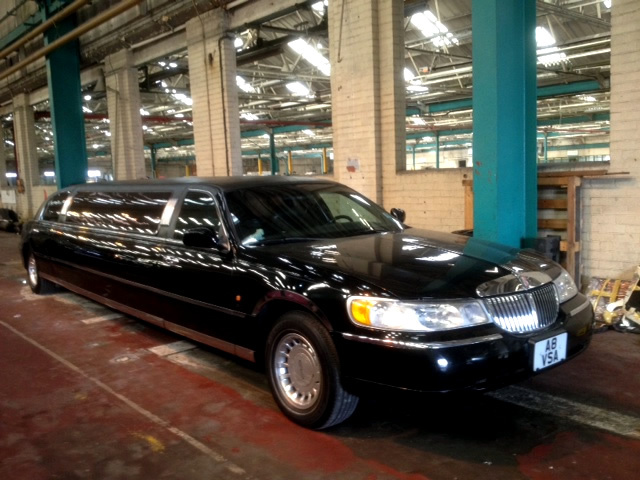 So, whether you are having stag/hen party, a night out or a business trip, or, like Jim on Hollyoaks, you want to hire it for Valentine’s Day, the Lincoln Town Car is the perfect limo for hire. Planning to use it for your wedding? Try teaming it with our classic and modern wedding cars.